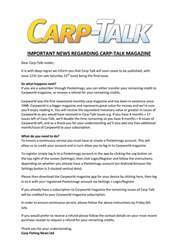 This week’s issue of Carp-Talk (issue 1010) is available to download now! 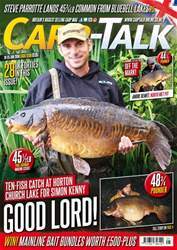 Korda’s Neil Spooner is the subject of our main news story this week, having ended a three-year pursuit for the Star Lane Linear. We have also got forties from Monks Pit, Wellington Country Park, Baden Hall, Combley Lakes, Railway Pit, The Avenue and Darenth Tip Lake. 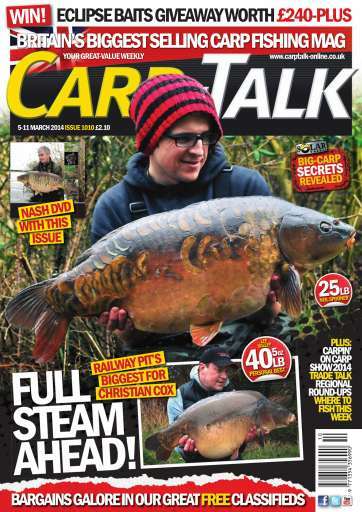 Elsewhere in the magazine, we have got a preview of Carpin’ On at Five Lakes, Tom Duncan-Dunlop reveals his favourite big-carp bait, and Ben Wales reviews products from Taska, Infusion Baits, Cygnet, Solar and Carp Couture in ‘Trade Talk’. 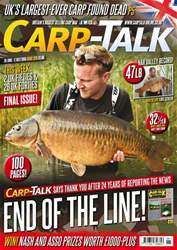 Haydn Hoskins encourages us to trust our feelings, Jan Mann explains his favourite solid-bag rig, Tim Paisley brings us up to date with the latest from the Predation Action Group, and we recommend a few venues from around the country in ‘Where to Fish’. As well as all that, we’ve got £240-plus of Eclipse Baits products to give away.